One thing that I've always found annoying about notification management on Android Wear is that dismissal is generally handled in bulk. If an app is serving you multiple notifications, like Inbox, for example, you can't go through each of those messages and dismiss them individually. Nope, you can either dismiss all of them or none of them (unless you use a specific action that subsequently dismisses the card, eg, "Done"). 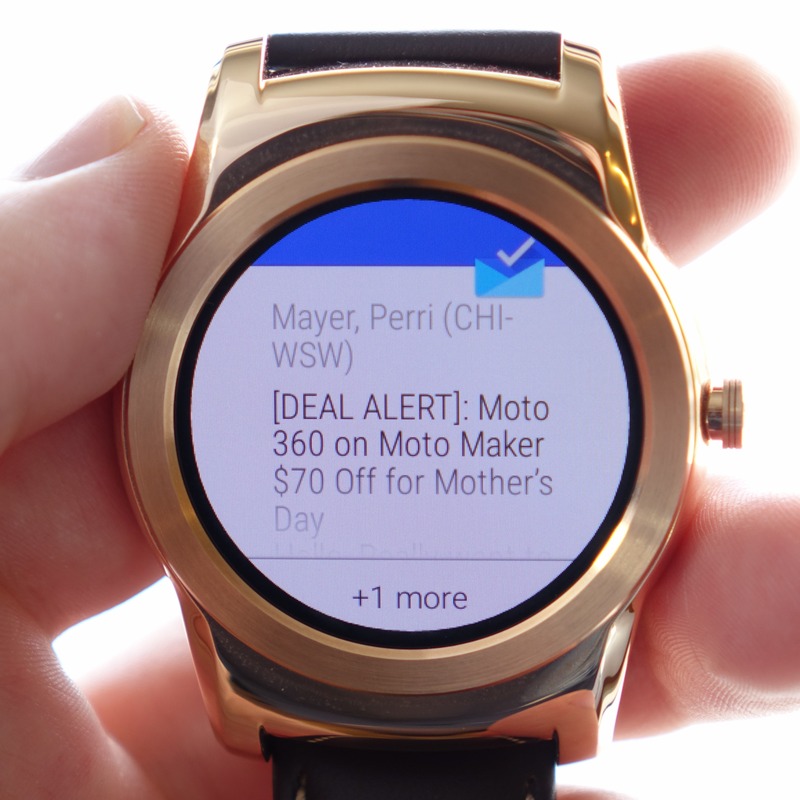 Android Wear 5.1 appears to have addressed this in some apps, with the Inbox, Hangouts, and Calendar apps on Wear now allowing you to dismiss single cards from a larger stack, instead of having to swipe them away en masse.